My grandmother always told me that I had beautiful hair until my mom altered the texture by applying a relaxer at 5 years old. Why we associated good hair with curls at such a young age, I’ll never know. 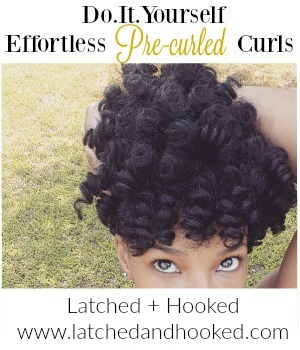 I believe secretly, we wanted to love our own curls – but we never knew our real texture, how to take care of it or what our actual curls would look like. Let’s fast forward to 2007, after years of relaxing my hair every 6-8 weeks and flinching at the site of new growth, I decided to STOP. When I decided to stop relaxing my hair in 2007 and embrace my curls, it wasn’t an immediate transition. I didn’t cut out my relaxer all at once, but slowly clipped the ends every few months. Eventually, my relaxer would be cut out and the real me (in my head) would surface. The day I cut off the remaining relaxer, I was completely natural. I was completely curly for the first time in my life. 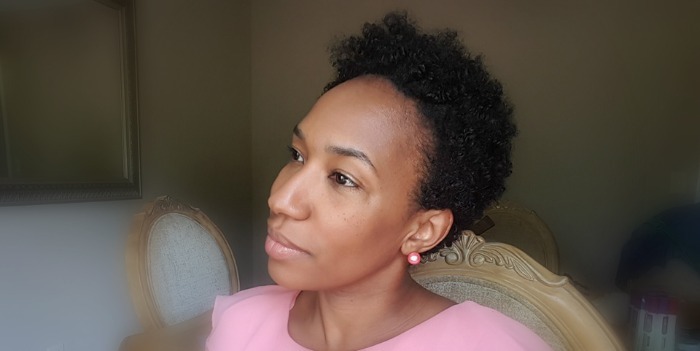 I didn’t know what to do or how to wear my hair, so I did what most new naturals do – I wore an afro. My first day of work with my new hairstyle was my test. I was so nervous, and even had a pep talk with myself before I walked into the office. Although wearing my hair in a wet & go afro was new for me and everyone who saw me, I held my head up high, shoulders back and I think I even held my breath. As I walked in the office, I saw heads popping up in cubicles and heard the little whispers. I kept walking. I made it to my desk, sat down and exhaled. I made it. That was the moment, I knew that my relationship with my hair is my experience and my experience alone. I loved my new tight curls and was not looking to anyone for an approving smile, nod or compliment. No one will love me, like me | I will always have to care about myself more than anyone else does. When that happens, I will treat myself better, understand my needs more and pour into my self. The result will be me understanding self love so I can share it, teach it to my children and exemplify it in my daily walk. I am responsible for my own destiny | If you want your future to look a certain way, do your hardest to create that. By allowing myself to worry about how people thought I should style my hair, I gave them more power than they deserved. Our hair is an extension of our beauty, not our only beauty attribute. 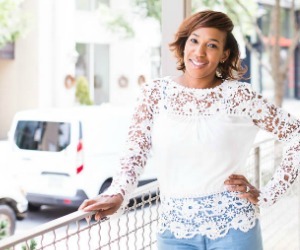 | As an African American woman, I know we LOVE our hair! We think about our next hair style as much as we think about what we are going to wear. It’s awesome how creative we get with our style, but we need to remember that it’s just an extension of who we are. We are not our hair! With it or without it – we are still beautiful! Fast forward to 2015, more women are rocking their curls but society still sees straight hair as the norm. I’m so glad that Dove is recognizing & encouraging women of all races or rock our curls! Our curls are apart of who we are and to show they stand behind us, they’ve created a new line of curly hair emjois. It’s a free download on your apple & android phone. The launch of Dove Love Your Curls Emojis is an extension of Dove Hair’s Love Your Curls mission, to help women and girls embrace and love their curls by ensuring they see accurate reflections of their hair in their everyday lives. In today’s age of texting, email, memes, gifs, etc., we speak in animation. We feel we can state our point with a smiley face or fun icon and our friends will get exactly what we mean. Research shows 71% of women say they’d be more likely to use Emojis if there was one that looked like they do. 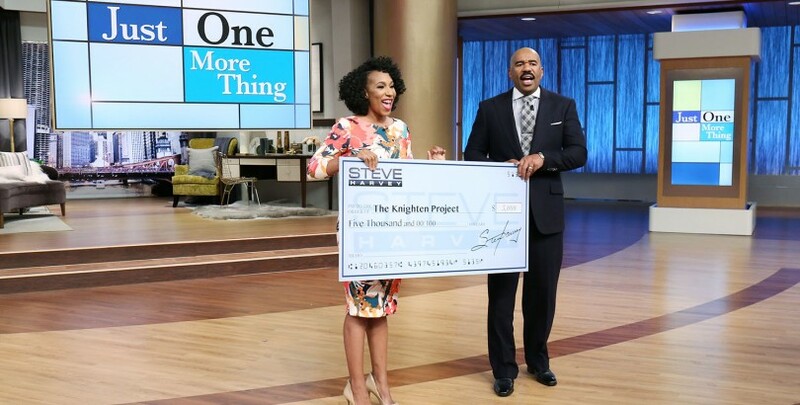 Dove made this happen. 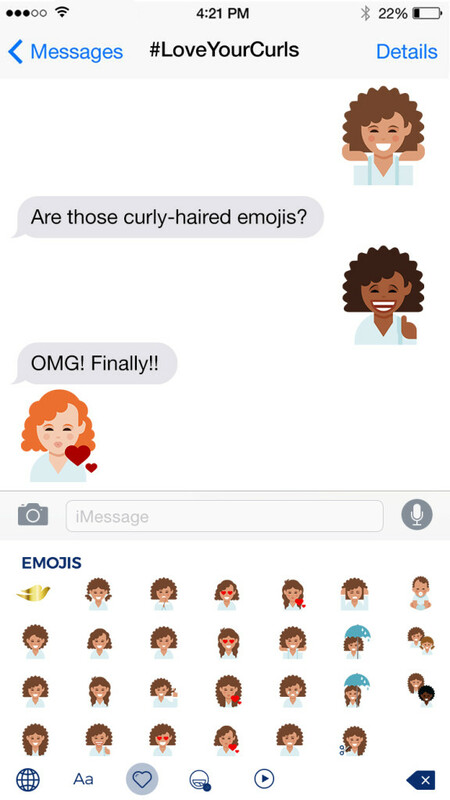 I love their emojis because they represent a wide variety of curly girls doing different things. Outside of the fact Dove has always made products that make me feel & look good, Dove has always celebrated natural beauty in women. 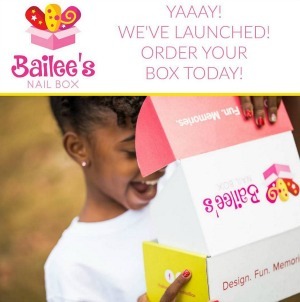 The step to actually create a free fun product for women to use in everyday communication shows that they are paying attention to what their consumers desire. 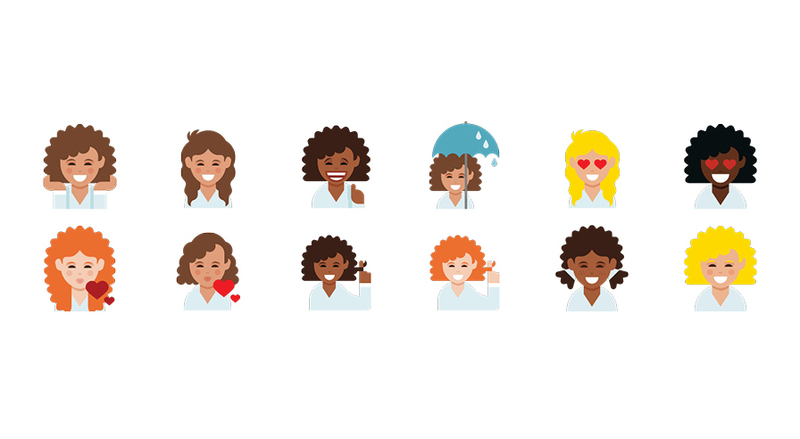 As women we are not “one size fits all” so why should our emoji’s be. Over the past few years, I learned so much about my own curls as well as gained more confidence when it comes to my hair. I recently cut it all off again and now it’s a short tiny fro. My curls are small but defined. I walk in the room and own it! If someone doesn’t like my hair, it’s their preference not mine. How do you love your curls? Do you have a certain experience that allowed you finally not care what people thought about you or your hair? Follow along with other great women who also share stories on how they love their curls with #LoveYourCurls. 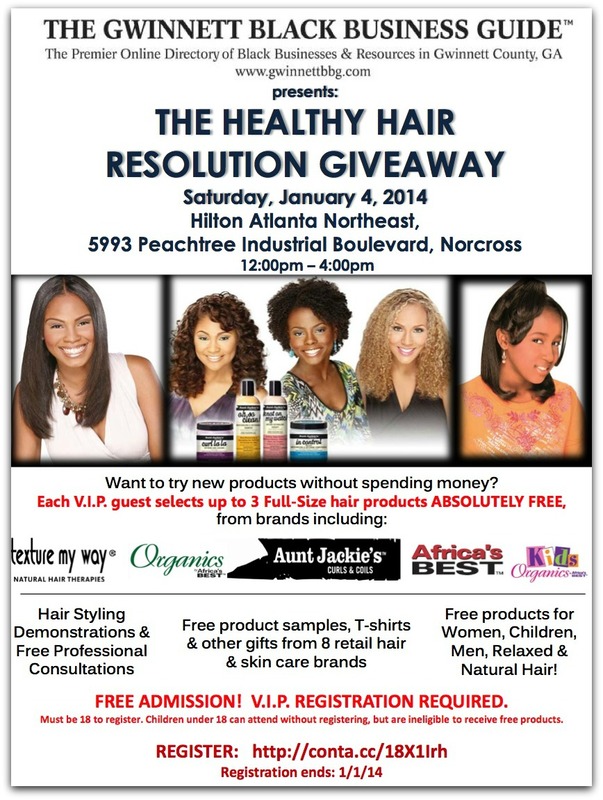 2014 Healthy Hair Resolution Giveaway Event : Register Here! I love all the ways you rock your hair and the new cut looks fierce on you too! I finally stopped trying to worry what people thought and dyed it purple. I’ve been enjoying it ever since. Yes girl! It took me YEARS to love my hair without chemicals in it. It wasn’t until after Pookah was born that I fully embraced my head of hair! And now, I can’t even imagine using the creamy crack!